Materials fee of $45 for all willow used, a variety of frames, tool usage and handouts. Learn and experiment with the techniques of ‘Bird Weave’. 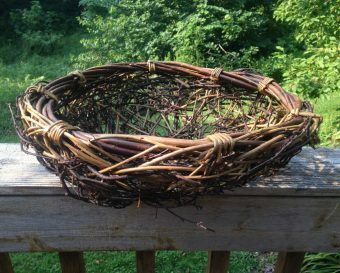 Using willow sticks, you’ll interlace them to create a flat willow ‘fabric’, which can then be shaped into a variety of 3-dimensional forms. Explore a variety of unique designs, ranging from basket-shaped to purely sculptural—the possibilities are endless!